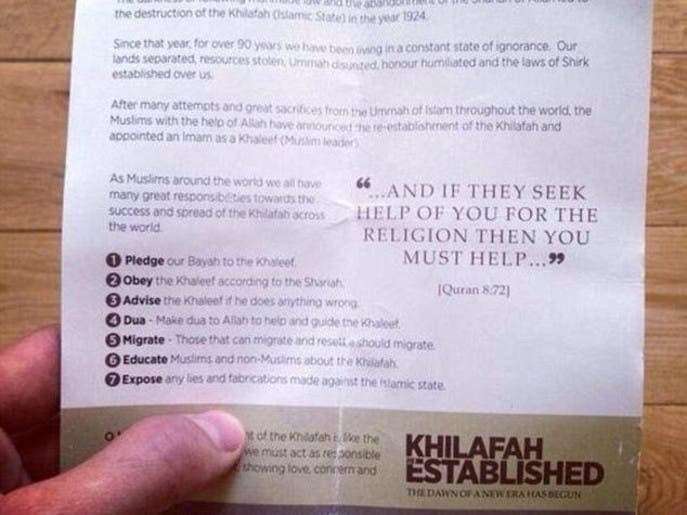 Brochures urging Muslims to leave Britain and join the Islamic State of Iraq and Syria (ISIS) group were and handed out to Oxford Street shoppers in central London, The Daily Mail reported Wednesday. The newspaper said men, who stood in front of posters declaring “the dawn of a new era has begun,” were handing out pro-ISIS brochures. 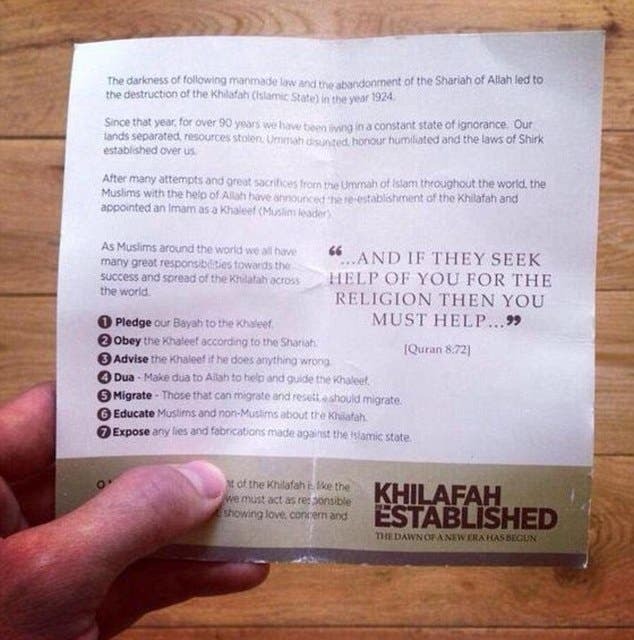 “The khilafah (Caliphate) has been established,” one leaflet read, in reference to territories gained in Iraq and Syria after ISIS waged its lightening offensive in recent weeks. It also sets out seven rules for supporters, including to “obey” the Caliph, Sharia law, “migrate” from the UK to the caliphate and “expose lies” about the extremist group. Doyle added that it is hard to say whether this kind of open support for ISIS could lead to arrest. 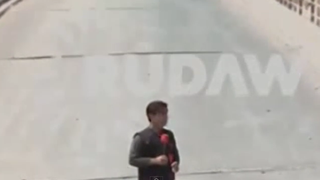 “What can be done is very difficult, there are issues, freedom of speech. 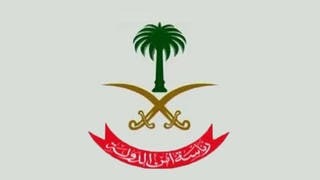 The issue [of whether] they are actually promoting terrorism and crime,” can be questioned, he said. These ISIS supporters can only be persecuted if they are in fact promoting violence or hatred, Ahmed explained. Doyle also dismissed that the dissemination of such pamphlets was an “effective” way for recruitment, as he said enrolling ISIS diehards usually takes place through personal networks.